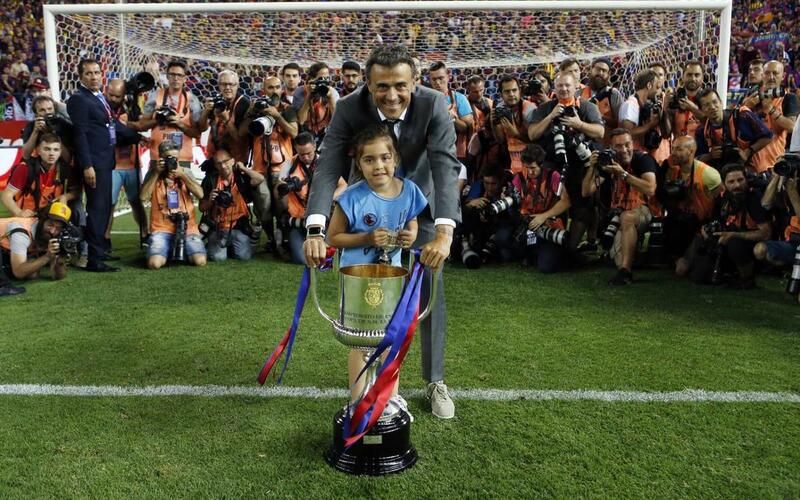 Luis Enrique capped his last game as FC Barcelona manager with a trophy, ending his three-year spell with a total of nine titles.The 3-1 win over Alavés on Saturday night sealed his third straight Copa del Rey success, meaning that he ends his spell as coach with an average of three trophies per season. As well as silverware, the Asturian has left his mark on the club with some incredible and memorable runs: The 32 wins and 7 draws between October 2015 and March 2016 is the longest unbeaten streak of any manager in the club’s history. His start to life as Barça boss was perfect, with seven victories from as many games and it also ended in spectacular fashion by winning the treble. Luis Enrique’s spell as manager has been trophy-laden, with the team winning all but four of the 13 available during the last three years: two Ligas, three Copa del Rey, one Champions League, a European Super Cup, a Spanish Super Cup and a Club World Cup. Despite falling short in the league and in Europe in the final campaign, Luis Enrique’s time as first team boss will be fondly remembered for the successes achieved.